Royalton Gives a New Meaning to Sitting by the Fire! The iconic Royalton, a Midtown New York boutique hotel, opened in 1988 and set the paradigm that would define the modern day boutique hotel. Today the property serves as the stylish living room of Manhattan. Its chic lobby is a social center – a place to see and be seen! 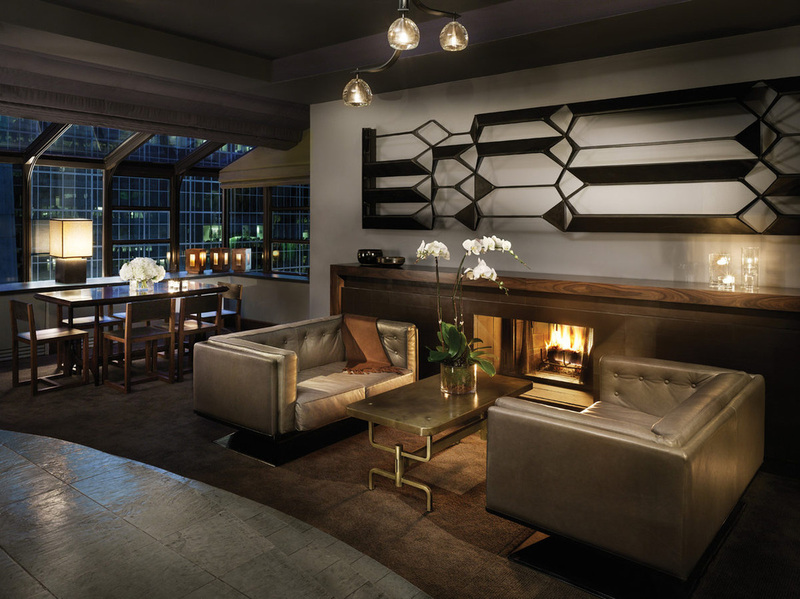 The hotel is again setting a new standard with its launch of the "Royalton Fireplace" at the Royalton New York. 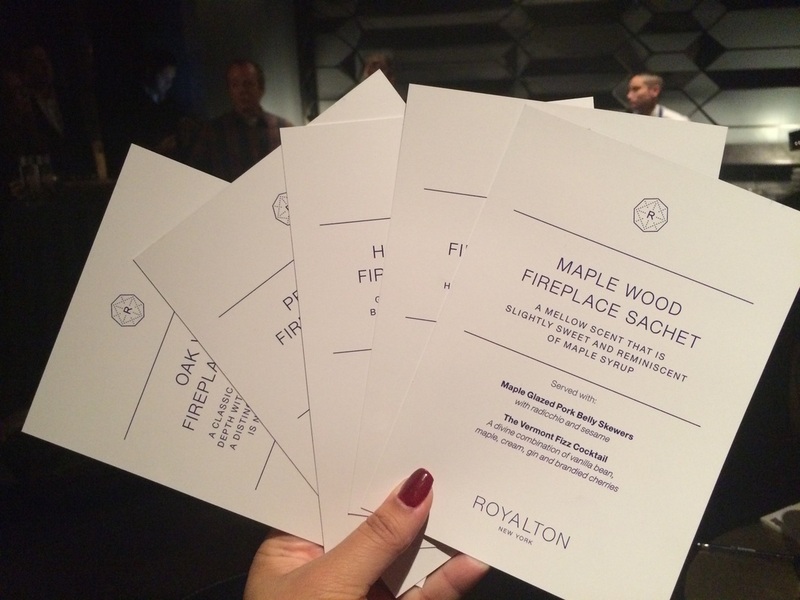 Developed in partnership with Brooklyn-based Wood Sommelier Ted Whitehead, the Royalton unveils the fireplace sachet which includes five different wood types to allow guests to customize their in-room fires. 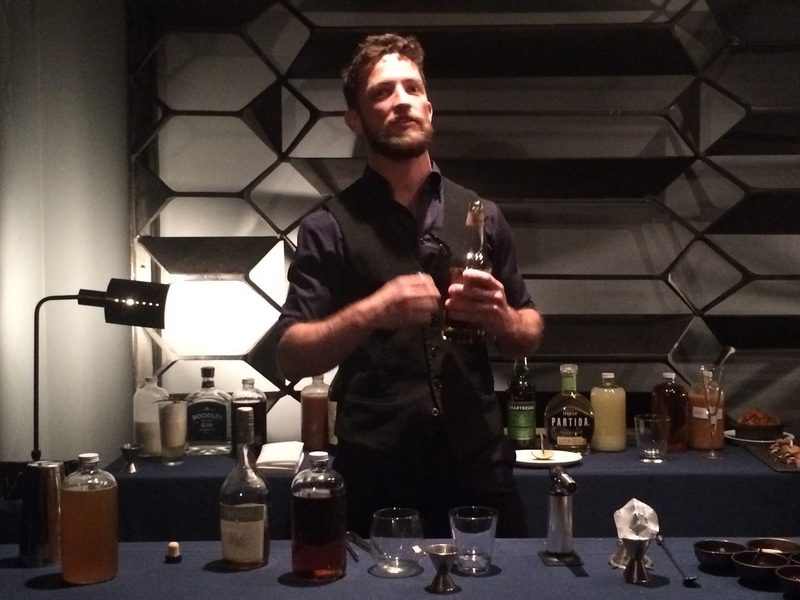 To enhance the sensory experience, a menu of small plates and craft cocktails are also available to complement each scent. 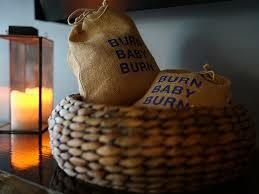 Royalton’s trained staff handle set-up to kindle the fire and set the ambiance. The program’s culinary combinations mark the first time food and spirits have been paired with fragrant wood. The Maple Wood Sachet has a mellow scent that is slightly sweet and reminiscent of maple syrup. As its culinary companion, Chef Vanessa serves Maple Glazed Pork Belly Skewers with Radicchio and Sesame ($15), alongside Joshua’s Vermont Fizz ($18) – a divine combination of vanilla bean, maple, cream, gin and brandied cherries. For a light and fresh aura with hints of fruity sweetness, the Apple Wood Sachet is soothing with floral notes. Flavorful Apple Beignets are served with cider caramel and powdered sugar ($12), paired with a Sfumato – Apple smoked peach-infused Cointreau, peach puree and Prosecco topped with apple smoked peach garnish ($18). The Oak Wood Sachet is nutty and full-bodied with herbal depth, and is accompanied by Smoked Cheddar Grilled Cheese with Braised Short Rib, pickled red onion and arugula ($15) and The Last Tree – a combination of Partida Anejo, Green Chartreuse, Lime, Pine Needles and Agave ($18). The Pecan Wood Sachet, a mild scent that is nutty and spicy with subtle character, is served with Oven-Roasted Sweet Potatoes, Chopped Pecans, Barbecue Sea Salt and fresh thyme ($14) alongside Island of Hills - Woodford Reserve, oak-smoked pecan orgeat and Antica Carparo ($18). The Hickory Wood Sachet, which is often used by grillers for its robust and sweet quality, is served with Prosciutto and Ricotta Crostini with hickory smoked cranberries, burnt honey and greens ($14) and Joshua’s renowned Hickory Old Fashioned - which features charred hickory-infused bourbon, maple whiskey, Applejack and honey water ($18). Visit the royaltonfireplace.com for more information and to book the "Royal Fireplace" package. Sachets are available in five different scents including Maple Wood Sachet, Apple Wood Sachet, Oak Wood Sachet, Pecan Wood Sachet, and the Hickory Wood Sachet. 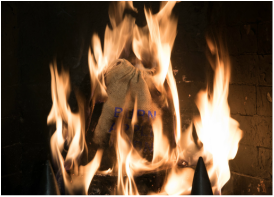 Royalton’s five distinct Fireplace Sachets are packaged in fireplace-ready, hand-silk-screened, 9.3 x 12-inch jute sacks, and are placed on top of any existing logs to offer a spectrum of aromas from delicate to distinct. 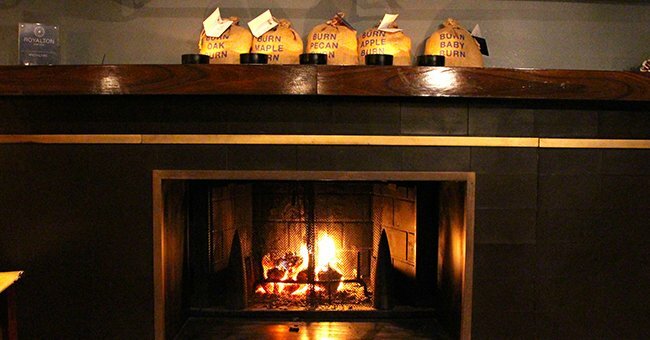 The midtown boutique hotel boasts 55 wood-burning fireplaces in its guest rooms, the most of any NYC hotel.